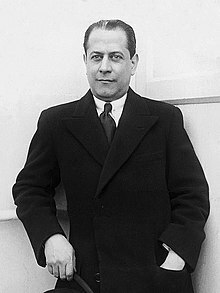 José Raúl Capablanca y Graupera (19 November 1888 – 8 Mairch 1942) wis a Cuban chess player who wis warld chess champion frae 1921 tae 1927. Considered ane o the greatest players o aw time, he wis renained for his exceptional endgemme skill an speed o play. This page wis last eeditit on 9 November 2015, at 18:28.